Samsung Galaxy S7 Edge was released to the surprise of many as the company left behind the 5.1-inches of display size used on the Galaxy S6 Edge and instead went for a larger 5.5-inch screen. Well, what this means is that this device has already stepped into a territory that wasn’t meant for it initially. Despite this, Samsung Galaxy Note 6 is still on its way, with Samsung expected to unveil its true phablet flagship in the coming months. No one doubts that Samsung Galaxy Note 5 has its own class and style. However, with the newer Galaxy Note 6, we expect even more ion terms of not just size and performance, but all-round aspects of the phone. Current rumors already point to a larger 5.8-inch display screen and 6GB RAM, but is this everything? Definitely not and as a result, we have prepared a list of the 7 things we expect to see added to this year’s Samsung Galaxy Note 6 when it is released in July or August this year. Samsung Galaxy Note 5 has no microSD card slot and so is last year’s S6 flagship. This year’s S7 flagship saw the return of expandable storage and as such, we expect to see it back on Samsung Galaxy Note 6. With expandable storage, you will be sure not to spend that extra $100+ on a variant that offers more onboard storage like with the case of last year’s model. 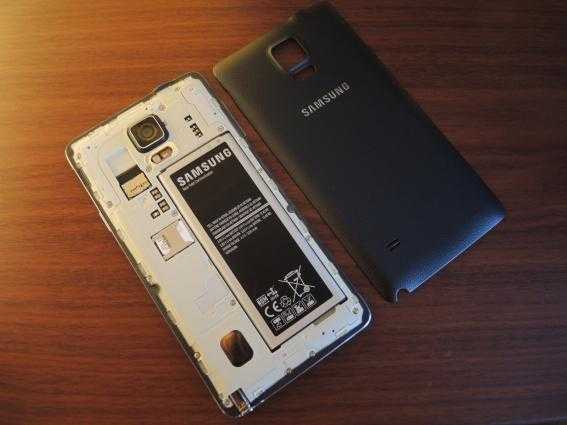 Samsung did away with the removable battery in 2015. This came as a result of the shift from casual designs to premium materials as the company’s completion with Apple’s iPhone intensified. Samsung has already released two flagships in the shape of Galaxy S7 and S7 Edge. Both phones come with non-removable batteries, just like last year’s series. While it is possible that the same will be seen in Samsung Galaxy Note 6, we’d wish Samsung went back to the removable battery. With a removable battery, you will no longer have to worry about battery life as carrying around an extra pack is still very convenient. Of course, Samsung will probably stick with a non-removable battery for the Note 6. However, it will be welcomed if the phablet got an even bigger battery, probably bigger than the 3600mAh installed in the Galaxy S7 Edge. Samsung’s Super AMOLED QHD panels are with no doubt sharper than most displays around. However, it cannot be denied that smaller devices such as Samsung Galaxy S7 pack more pixels than the larger screens. As far as VR is concerned, packing more pixels in the display screen of Samsung Galaxy Note 6 will mean better, sharper display. As far as size is concerned, Samsung Galaxy S7 Edge seems to have already stepped into the phablet category, a category that is well-known to belong to the Note series. With this in mind, we expect to see a screen go beyond the 5.7-inch display size used on the Galaxy Note 5 and other Note models. Samsung Galaxy S7 has one of the best cameras, if not the best. The 12MP DualPixel sensor used on the rear of the S7 is great, but we’d like Samsung to get better with the Galaxy Note 6. There have been rumors of a dual-camera system coming for the Note 6, something similar to the LG G5. This would be great for a device that is looking to be more than unique as far as phablet are concerned. Recently-announced HTC 10 has a 5MP UltraPixel sensor on the front equipped with OIS. It would also be a nice addition if Samsung Galaxy Note 6 added such a nifty feature to its selfie camera, or maybe even more. Samsung Galaxy Note series has always been distinct with its S Pen stylus. However, Samsung has somehow failed to make the S Pen more useful than just acting as an actual notepad. There have been rumors of a patent that could see Samsung re-imagine the S Pen. 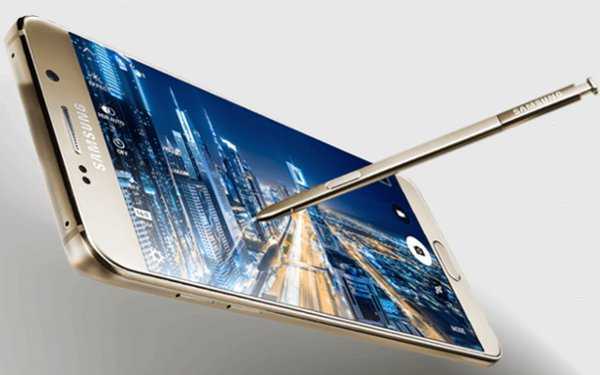 We hope this materializes and that even more compelling features are added to the Galaxy Note 6’s S Pen. Samsung ditched water and dust resistance capabilities in 2015. These two are back this year with the Galaxy S7 and S7 Edge. We expect that Samsung Galaxy Note 6 will also get IP68 certification or even better. But is Samsung simply recycling features from its S series to the Note series enough to lure users to the Note 6? Maybe, but maybe not! Some will want to take their smartphone to deep sea diving and such stuff. HTC did an amazing job with the HTC 10’s Sense 8.0 UI. The interface has been trimmed down to give users an almost stock Android experience. There are no more two apps for almost everything like with the case of Samsung’s TouchWiz. This is what we’d like to see Samsung do to its UI – a cleaner, more minimalistic UI that is inspired by Google’s Material Design concept. Next Next post: Samsung Galaxy Note 5 vs. Galaxy Note 6: How Will the Two Differ?